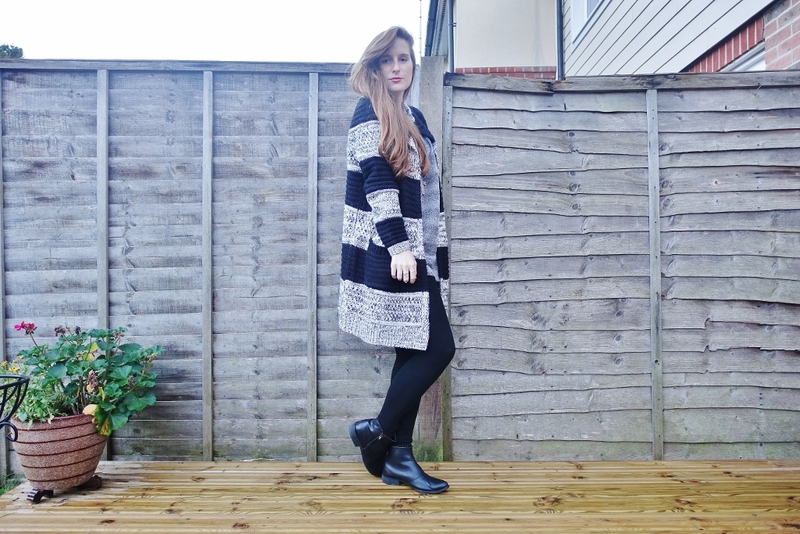 Right Up My Street: Fashion: I've Got My Chunky Knit At The Ready Autumn! 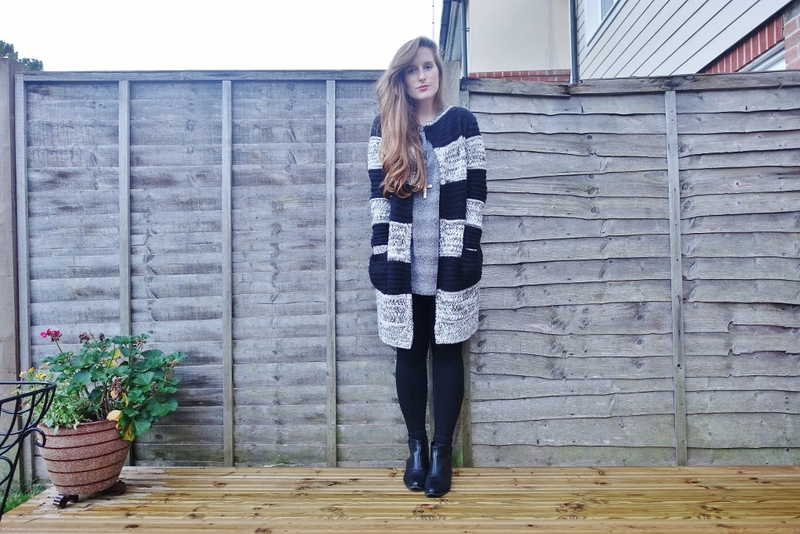 Fashion: I've Got My Chunky Knit At The Ready Autumn! 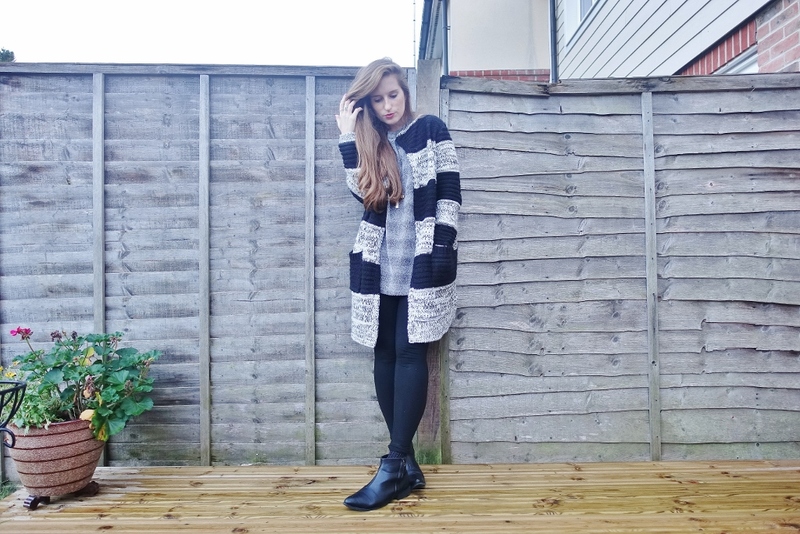 Autumn - I'm ready for you! Since landing eyes on this heavily knitted cardigan in my local Tesco's F & F Clothing, I knew we were to be a snuggle match made in heaven! 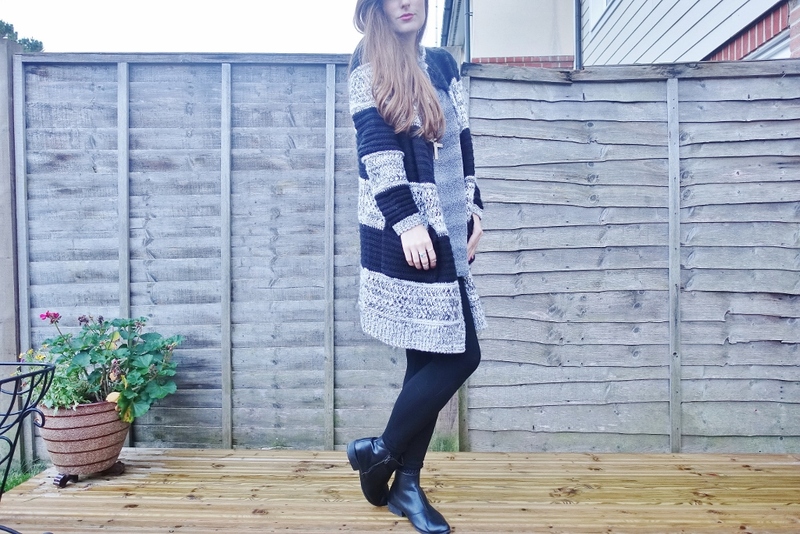 I've been keen to find an oversized, thick cardigan which would comfortably cover my bum for the colder autumnal and winter months. 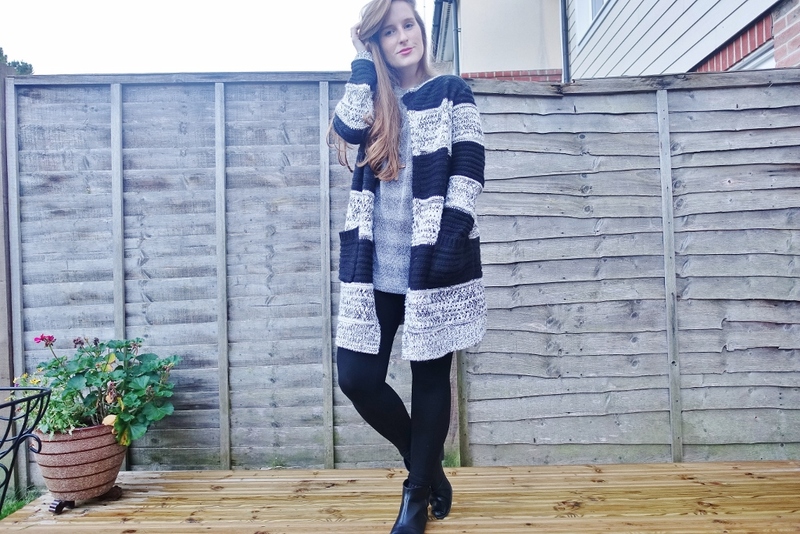 With bold black and fuzzy grey thick blocked stripes I was bowled over by the design, and knew I had to have this item in my wardrobe - immediately! With big deep pockets, its the perfect autumnal item for plunging my hands into when greeted with the crisp cold air on this miserable mornings. My wardrobe is oversized by nature, so when paired with my long-sleeved mesh tee from urban outfitters, I'm as snug as a bug in a rug. Literally - a walking blanket. I've been so impressed with my local F & F Clothing recently that I find it so hard to do a food shop without taking a peek at the clothing and filling my basket their first. It proves for a very expensive *ahem* food shop! I'm also loving TU at Sainsbury's - already have my eye on a dotted white blouse in there and some brown knee-high boots. What your favourite supermarket clothing chain currently? 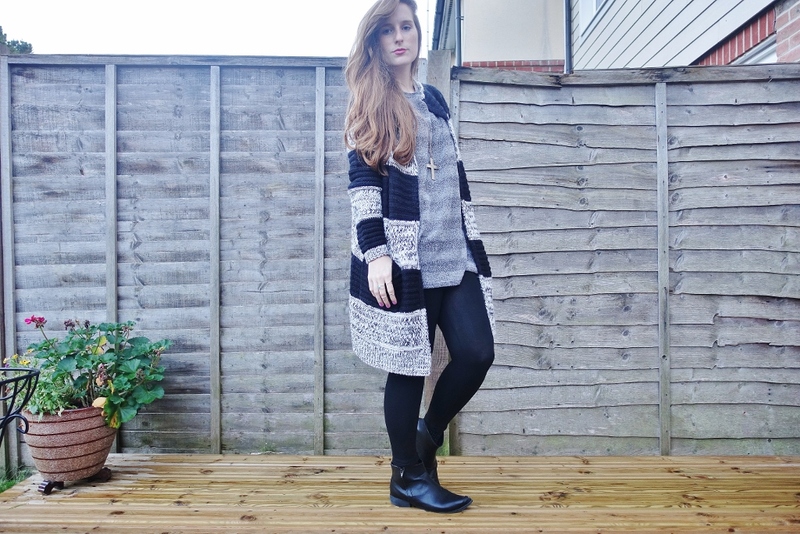 Such a cute, and snug looking cardigan! I adore Tesco at the minute! So many lovely finds. I'm feeling so Autumnal !